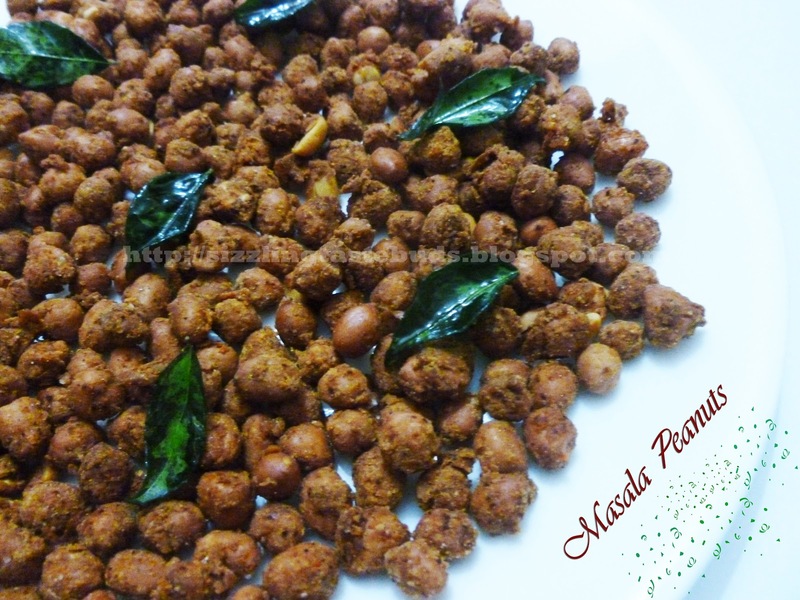 Masala Peanuts is a spicy, crunchy, delicious, deep fried snack. 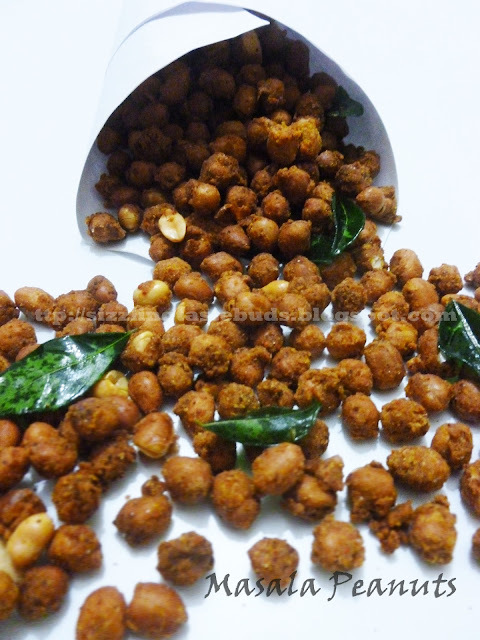 Its is a very popular all time favorite Indian snack. Ingredients required to make it at home is very less and it can be stored for longer period too. Prepared this for Diwali. 1. Take a wide bowl and add in the raw peanuts. 2. Add in all the above ingredients except curry leaves and oil. 3. Mix well by sprinkling water or just wetting your hands and giving it a nice semi dry coating to all the peanuts. 4. Heat oil and deep fry it in a medium flame till a nice crunchy golden layer is formed. Remove it and place it on absorbent tissues to drain excess oil. 5. Fry some curry leaves and mix it with fried masala peanuts. When cooled, store it in an air tight container. Enjoy it in your snack time or on a lazy sunday movie time. There peanuts look so crunchy and mouthwatering. I wish I could grab some.